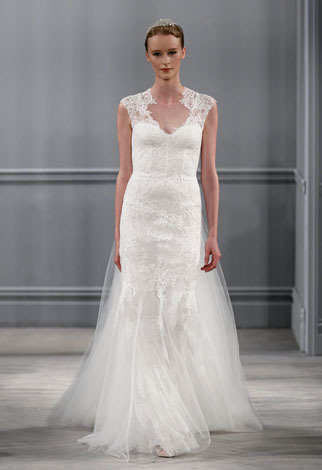 Great news for anyone searching for a dress for their big day, Carine’s Bridal Atelier in Georgetown will be hosting a Monique Lhuillier trunk show TODAY – August 22nd through the 24th. An added bonus, brides who purchase a gown will receive a 10% discount and a swag bag with goodies from Rodney Bailey Photography, Bloomingdale’s, The Dandelion Patch, Carly Ray Make-up Design, and more! 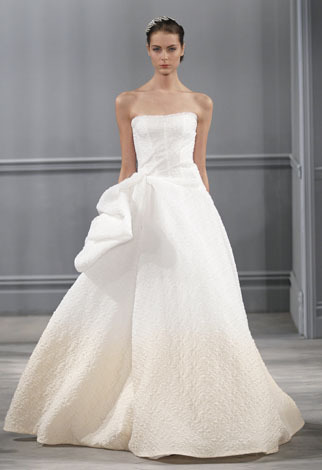 Monique’s Spring 2014 gowns were absolutely gorgeous and this is a great opportunity to see many of those formal looks, everything from her fitted strapless gowns to her full skirted gown in an ivory-to-champagne ombre effect.